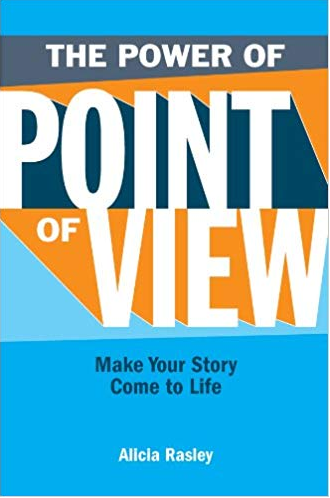 From The Power of Point of View from Writer’s Digest Books. You don’t choose POV; it chooses you. Well, not exactly. 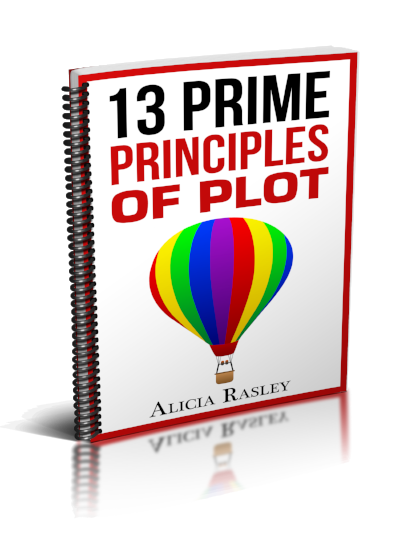 But rather than conceiving a story with a desire to write in a particular POV (“I’m just dying to write in omniscient!”), think instead about the story you want to write and then determine which POV will help you best tell this story. You are important here. The sort of novels you like to read and want to write is probably reflective of some aspect of your character, and that’s going to affect which POV you find most comfortable for your story. I have a theory that visually oriented people tend to prefer multiple POV over single-third or first-person POV. They might “see” a story as the braiding of the lives of several different characters. Someone kinesthetically oriented, however, might prefer to tell this same set of events in the more directly active first person. If you can’t imagine writing in first person, don’t chose that POV just because you admire other first-person books similar to your project in style, tone, or theme. First and foremost, know yourself and get to know your story. Make your manner of writing the best way to tell that particular story. Each POV approach reflects a particular concern that has preoccupied fiction writers since the dawn of storytelling. These themes, if recognized, can deepen your story’s own themes. Second-person POV explores the nature of identity construction: How does you compare to I? Objective POV explores whether there is an objective reality, apart from each of our own interpretations. Classical omniscient explores human society: How do we interact and why? Contemporary omniscient explores the conflict between our need for society and our need for freedom. Single–third person explores the issue of the interior life: How do internal needs and conflicts drive an individual’s external actions? Multiple–third person explores the issue of perspective: What we see is very much dependent on where we stand. These themes are not mutually exclusive. For example, if you use a contemporary-omniscient opening to a scene and then slide into single–third person or multiple–third person POV, the combination can help you explore the tension or balance between self and society. This does not mean that these POV themes are the only ones that can be examined in your story. Rather, POV approaches evolved, in part, to explore these issues; your attraction to any particular method probably reflects your subconscious interest in the issues brought up by it. For example, if you are writing about a woman whose life is still being affected by her parents’ early deaths, you might decide that single–third person POV will help you delve more deeply into her internal reality. Then again, if you are more interested in how a cold-case police unit investigates her parents’ deaths, a single-POV focus might unnecessarily limit the narrative and action. A multiple-POV account could show the action from the perspectives of the characters who are most involved, while contrasting their different versions of reality. As you build your own story, keep the central issues provided by POV in mind and let them enhance your own work. At the very least, make sure the POV approach you choose doesn’t undercut the themes you are trying to develop. Does Your Story Focus on the Group or Individual? In addition to thinking about central themes, you should also consider whether yours is more of a “social novel” or a “personal novel.” The social novel focuses on the interaction of a group or community, while the personal novel tightly addresses the experience of a central protagonist. As always with fiction, these are not hard and fast categories. Charles Frazier’s Cold Mountain involves both the exploration of a Civil War town and the personal journey of a soldier trying to find his way home. Social novels are more likely to use omniscient or multiple POV, so that we are privy to the understanding of several characters and their interactions. Personal novels are more likely to use a tightly focused single POV, whether third person or first person, so we can share the internal experience of the character. Both social and personal novels appear in most genres. For example, the thriller genre encompasses both Robert Ludlum’s The Bourne Identity, which follows an amnesiac spy’s attempt to discover his past (personal), and Ian Caldwell and Dustin Thomason’s The Rule of Four, which solves an ancient mystery while exploring the friendships and rivalries within an Ivy League academy (social). It helps to consider whether you are more interested in the journey of one (or two) main characters or in the actions and interactions of a larger group. Since most genres allow both types of novels, make sure you’re not undermining your own purpose by, for example, using too many viewpoints in what is meant to be a deeply personal psychological thriller, or, conversely, sticking too tightly to one POV in a novel that’s meant to describe the workings of an entire culture. Your POV choice can also affect the name of your story, as the focus of the story is often reflected in the title: David Copperfield promises a much more personally focused Dickens novel than A Tale of Two Cities. Two books in Stephen King’s The Dark Tower series provide another good contrast. The first is called The Gunslinger, and it’s very much concerned with a man who fights alone and ends up alone. The second book, however, is called The Drawing of the Three, which suggests the protagonist’s new recognition of his need for allies and the building of his little army. Before you title your story, ask yourself: Is it the character or group that deserves top billing? Where Does This Story Fit? Does your story fall into a certain genre or type of book? For example, is it a mystery or a science fiction novel, a romance or a Western? Or is it a quest story, an epic, an adventure, a coming-of-age story, a family drama? There are many different types of stories, and sometimes the genre has an influence on your POV choices. If you can determine the genre or type of story, glance through a few books in that category to see if there’s a discernible POV approach. (For example, most detective novels are in first person.) Don’t worry if you don’t find one. If you can’t characterize your story as a particular type, can you name a novel or two that resemble your story? (For example, if you’re writing a gritty book about the Civil War, you might think it resembles Cold Mountain a bit.) Check out those similar books and see what sort of POV approach they take. Again, this doesn’t mean you have to write it that way, but it gives you a sense of what others have done and a chance to evaluate how the approach works.